First Look - @MizunoGolfNA JPX919 Tour, Forged, and Hot Metal Irons. 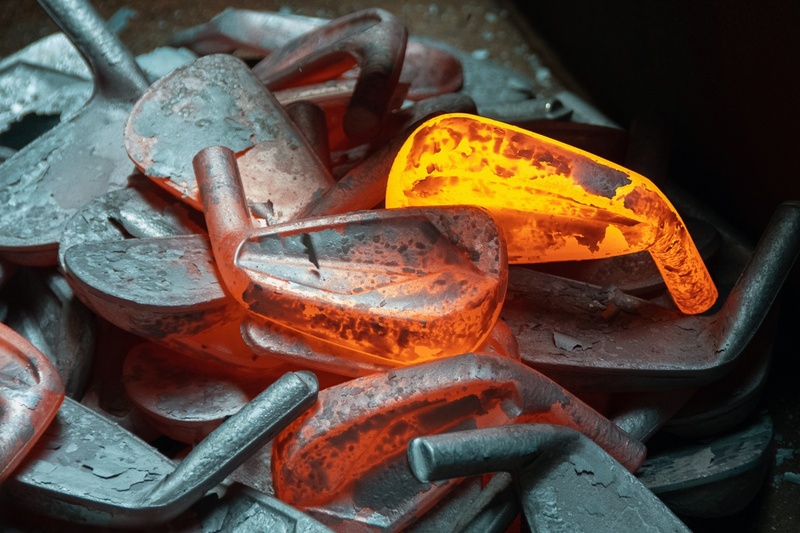 It can’t be easy for any brand to replace its most successful game-improvement iron ever, or a tour iron that won 3-majors in a 14-month span (including back to back US Opens), or even a middle of the market forged iron that’s the most versatile iron in its catalog. Trying to replace all three in a single release cycle is another thing entirely. That’s the challenge Mizuno is facing with its JPX919 iron lineup. Damn. Good luck with that. One could easily build a case for letting the entire JPX900 lineup ride for another season, maybe two, but the golf equipment world brings with it certain business realities, and that means even a company like Mizuno needs to make new clubs – even when the old ones are enjoying one hell of a run. There is a list of design and engineering reasons why the JPX919 could be better, but it’s up to you as a golfer to determine if those things matter enough for you to replace what’s currently in your bag. Forgetting – as most at Mizuno would likely prefer – the JPX EZ irons, the modern JPX story is one of design evolution. While the JPX850 was, for all intents and purposes, a clean iron, the standard 850 was a bit ornamental. It’s bold-ish blue badge certainly didn’t look out of place next to other offerings in the game improvement category, but it was a bit more ornate than your typical Mizuno iron. For the JPX900, Mizuno took a more refined approach, raising the sophistication level to nearly that of MP, and it wasn’t a stretch to think that some golfers, even some traditional Mizuno golfers, might prefer the JPX aesthetic. As we’ve discussed before, while MP plays to tradition, the JPX is designed to appeal to a modern, more aggressive golfer. You don’t have to be strong like Brooks, but there’s an edginess, both metaphorically and literally, to the line that doesn’t exist with MP. With the JPX919, Mizuno is bringing elements of dynamism and simplicity to the design. The simplicity part is obvious enough. The irons are clean…cleaner still than JPX900, and there’s nothing that’s overly ornate or out of place. The dynamism part seeks to the use light and reflections to bring movement to an otherwise static object. Elements of the JPX design, like the radial pattern in the badge, appear to be in motion as light moves across the cavity. The linear etching in the badge transitions from thinner to thicker to symbolize the structures created by Mizuno’s patented Grain Flow Forging HD process where grains of 1025E mild carbon steel are more densely aligned behind the hitting area. An aesthetic approach rooted in dynamism doesn’t bring any performance advantage, but it speaks to Mizuno’s desire to create clubs that blend premium performance with thoughtful design. The performance element of the JPX919 story begins with engineers looking for opportunities for improvement. As is often the case, the answer boils down to mass distribution. How can we optimize weighting? How can we take it away from where it isn’t needed and relocate it in a way that will improve performance? As we answer those questions, we’ll also touch on a couple of things you don’t see very often. 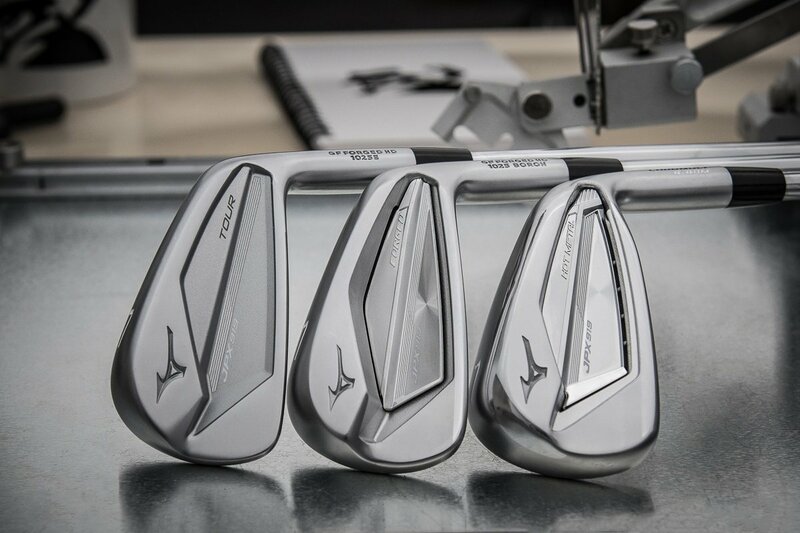 The first is that with the three irons in the JPX lineup Mizuno will again be using three different materials; each selected to meet the specific demands of a JPX919 iron model. While the word gets thrown around far too often, the JPX900 Tour exits the market achieving near iconic status. Without any pay for play attached, it was in Brook’s Koepka’s bag for 3 Majors Championship victories in a 4-month span. In the modern era, how many clubs get put out to pasture having never lost a US Open? At a minimum, 919 Tour becomes the sequel to a modern classic that helped change perceptions on tour while helping Mizuno reach a different type of golfer. It should go without saying that Mizuno hopes to continue its tour momentum with the 919. 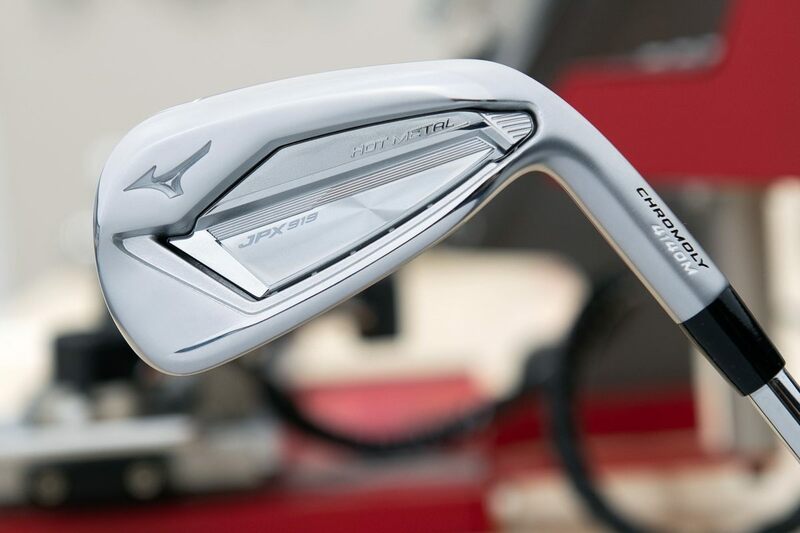 The 919 is the first JPX series to leverage Mizuno’s enhanced Grain Flow Forged HD process, which as we’ve covered a few times now, limits the amount of excess material that spills out of the lower part of the mold during forging. The end result is a more tightly packed grain structure in the hitting area, which ultimately results in better feel. From a materials standpoint, Tour is distinguished from the rest of the JPX900 lineup by the use 1025E Mild Carbon steel. It’s the same material used throughout Mizuno’s MP line. While Mizuno could have used 1025 Boron, there’s no practical performance reason to do so since nothing in the 919 Tour spec demands more distance. Any inclusion of Boron in the 919 Tour would have been strictly for marketing purposes. The primary structural difference between the 919 and the previous generation is the addition of what Mizuno calls a Stability Frame. In simple terms, Stability Frame is a means to relocate mass where it isn’t needed, specifically the heel portion of the club, to areas where it’s more purposeful. The challenge is particularly difficult in a compact iron where a healthy percentage of mass is already allocated to the hosel. Typical workarounds include shortening the hosel or increasing the blade length, but both have performance implications, and neither is likely to play well on tour. Mizuno’s fix was to push the cavity deeper towards the hosel. In fact, the signature design feature of the entire JPX919 lineup is a cavity that extends beyond the typical hosel boundary. In early designs, Mizuno was a bit too aggressive and had to dial it back to maintain the structural integrity of the iron. As you’d expect, Mizuno took some of that extra mass and used it to pull the center of gravity down for higher launch, while adding mass towards the toe helped shift the sweet spot closer to the true center of the clubface. 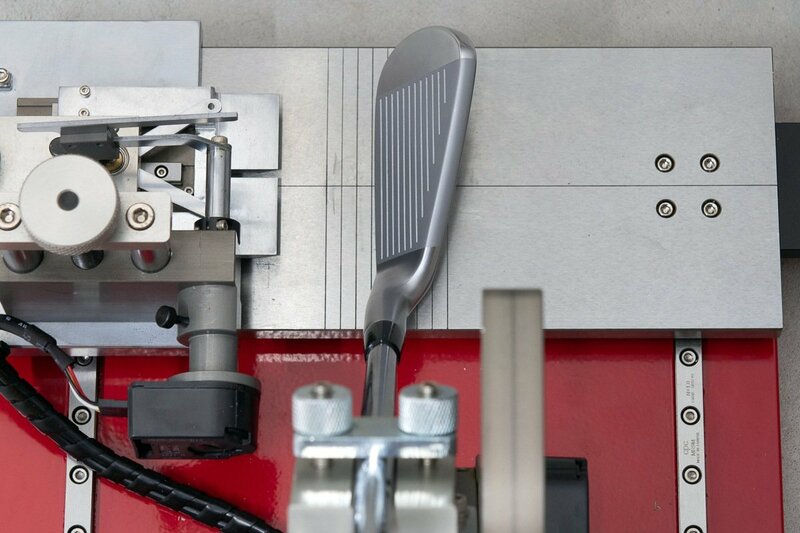 The end result is a club that launches a bit higher and spins a bit less than the MP-18 Split Cavity and MMC. Mizuno describes the JPX919 Tour as offering a refined shotmaker’s profile. 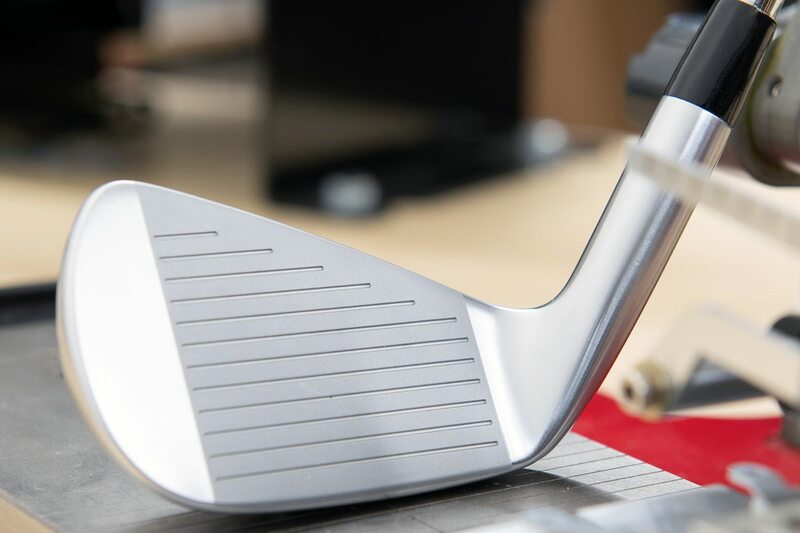 It’s a description that encompasses the compact shape, a tour proven sole with a cambered leading edge, its relatively minimal offset, and a topline that’s been reduced by about 10%. Thus far, the new design has been exceptionally well-received by PGA Tour players, including Brooks Koepka. Despite being a legitimate tour iron, the JPX919 Tour is not an unforgiving club. 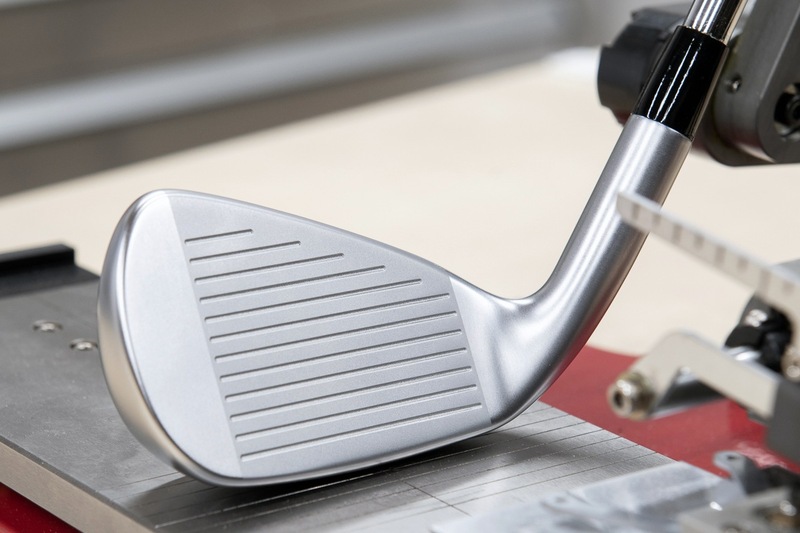 Mizuno uses a forgiveness metric called Sweet Area, which is the area of an ellipse representing the combined measured heel to toe and top to bottom MOI of an iron. The key point here is that the metric is born from measurements of actual parts and wasn’t created during the marketing department’s weekly meeting. Under this metric, the 919 Tour is nearly as forgiving as the MP-18 MMC, a tick more forgiving than both the Callaway APEX CF16, Titleist AP3, and TaylorMade’s MP4. What’s notable is that 919 achieves this level of forgiveness, despite its compact tour profile, specifically, it’s shorter blade length. Also new across the entire JPX919 lineup is what Mizuno calls a Pearl Brush finish. The flat satin on the 900, accentuated the 900’s clean lines, but it didn’t wear as well as Mizuno would have liked. The new finish offers chrome plating with a pearl (whitish) finish. It’s still zero glare, but it’s a touch brighter, it softens the strong lines in direct sunlight, and most importantly, it’s more durable. 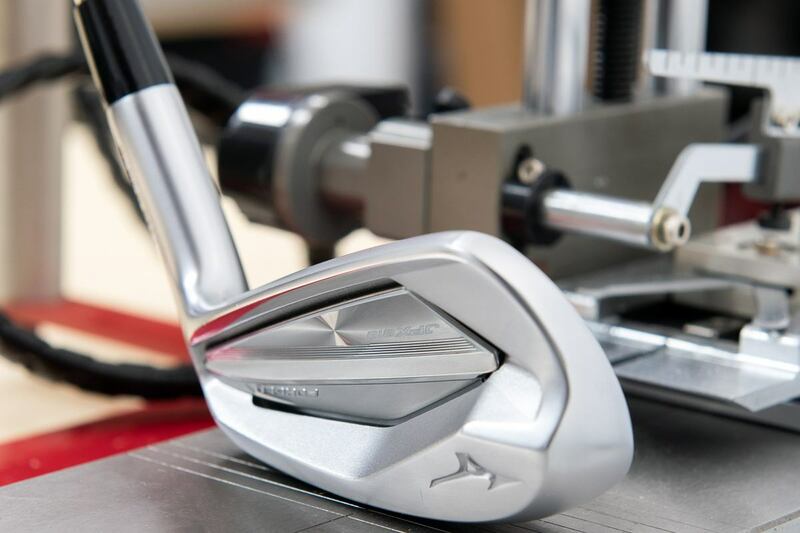 Taking a look at the specifications, you may have noticed that while lofts are unchanged from the 900 series, Mizuno has increased shaft length by ¼”. We can quibble over whether or not that was necessary, but Mizuno felt it needed to get inline with where the rest of the industry is. You can expect the new lengths to be standard across all new Mizuno models moving forward. The stock shaft in the 919 Tour is the TrueTemper Dynamic Gold 120. Note that Mizuno is using the real aftermarket taper tip version of the shaft with the heat transferred shaft labels. This isn’t the money-saving (for the OEM) parallel-tip, cigar band version found in some other lineups. Also noteworthy; the stock grip is Golf Pride’s MCC +4 (Gray/Black). This is the first time this grip has been offered as stock in any lineup. As with the last few iterations of Mizuno’s lineup, there are no upcharges for any iron shaft or grip in the Mizuno catalog. Available for right-handed golfers only, retail Price for the JPX919 Tour is $1200 per set or $150 per iron. Dating back to the JPX850 Forged, the selling point for the iron occupying this slot in the Mizuno lineup has been balanced performance. It offers a competitive amount of ball speed, plenty of forgiveness, and the feel and feedback Mizuno players have come to appreciate, if not demand. It’s neither too big, nor too small for a healthy percentage of the market. The JPX919 Forged continues that tradition, albeit with a bit more refinement. 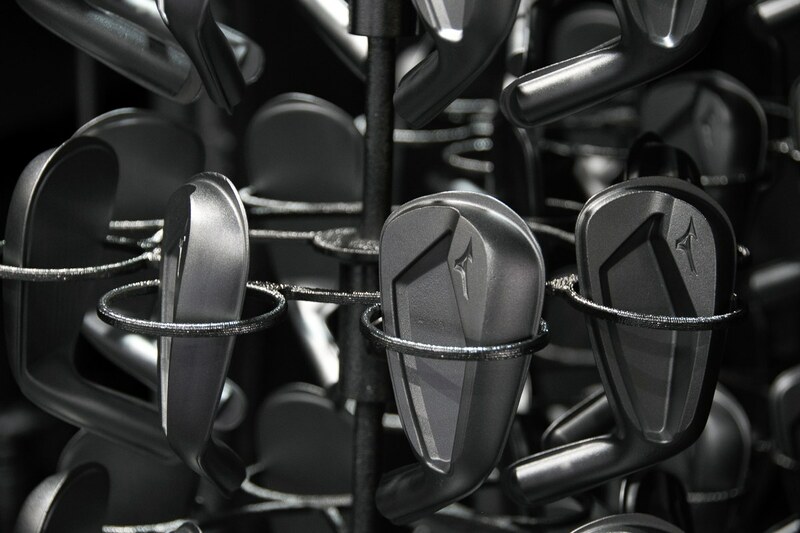 Unlike the Tour model, the JPX919 Forged is constructed from Mizuno’s 1025 Boron. The material is 30% stronger than 1025E, and that allows Mizuno to make the face, thinner, hotter, and faster. You know the drill. While JPX919 Forged isn’t a distance iron per say, it can hold its own in a segment of the market that demands a bit of extra ball speed. 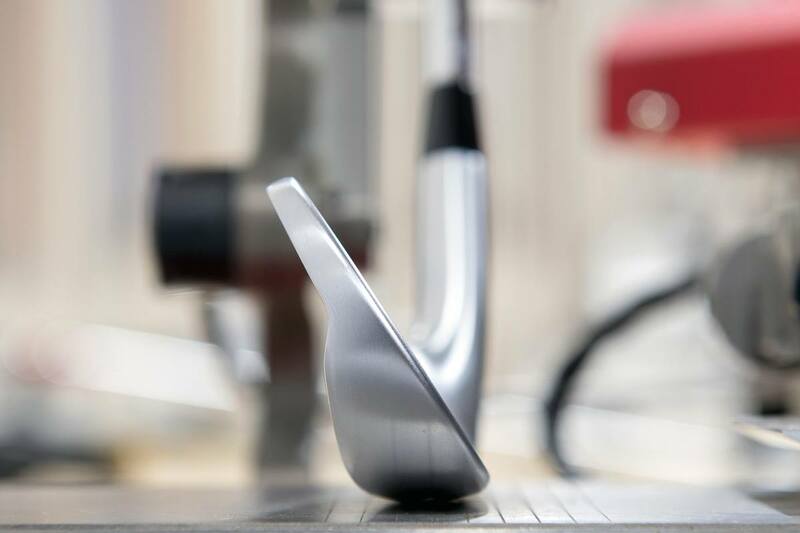 Like the 919 Tour, the Forged model features the new Stability Frame construction, and as with Tour, Mizuno leveraged that design to improve better optimize launch conditions. The biggest improvement over the JPX900 Forged is found under the hood. A new Microslot milling technique effectively increased the size and depth of the undercut cavity hidden behind the cavity badge. 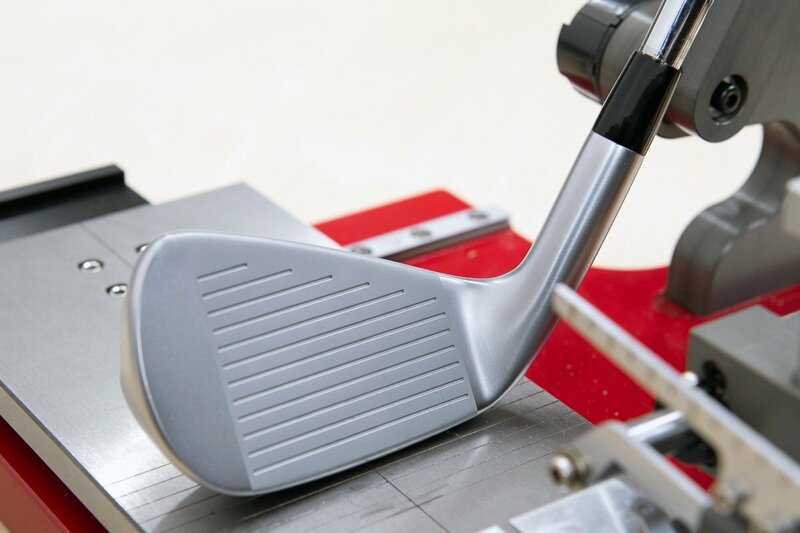 The result is increased COR across the entire face, and a lower and deeper center of gravity in the long in mid irons. For those who love to talk CT measurements, the new design keeps the ball on the face an extra 18 microseconds, producing almost 1 MPH more ball speed. Comparing the JPX919 Forged to others in its class, it’s significantly more forgiving than Apex CF16 and Epic. It’s a bit more forgiving than both P790 and Rogue Pro. Your best point of comparison is the Titleist AP1, which like JPX919 Forged, sits between Rogue and Rogue X under Mizuno’s forgiveness metric – and like the Tour model, the JPX919 has the shortest blade length of the competitive set, though it’s not significantly shorter than either Apex CF16 or P790. It should be noted that the 919 is just a touch less forgiving than the previous model. It’s the consequences of a slightly shorter blade length. For golfers who prefer the shape of a players iron – or at least like to get as close to compact as they safely can – and aren’t interested in compromising on forgiveness, JPX919 Forged hits the sweet spot. Prefaced with the acknowledgement that I’ve yet to have an OEM show me data that suggests its product is inferior to its competitors’, in Mizuno’s testing (using 6-irons), the JPX919 Forged produced longer carry than the PING G700, Callaway Rogue (and Rogue Pro), and every M in the TaylorMade catalog, despite lofts that are 1°-3° weaker than all off the above. Interestingly, the 919 Forged produced a lower, more penetrating flight, but only M3 spun more (and the difference was marginal). 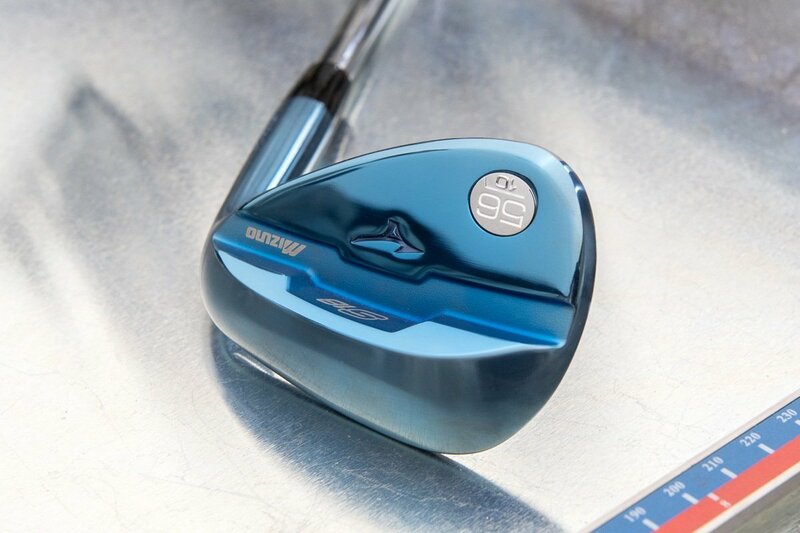 With 919 Forged, Mizuno’s goal was to create a comparatively higher spinning iron that wasn’t too high spinning. Invariably when golf companies talk about distance gains in irons, a quick review of the specs reveals that some measure of loft-jacking has played a role. 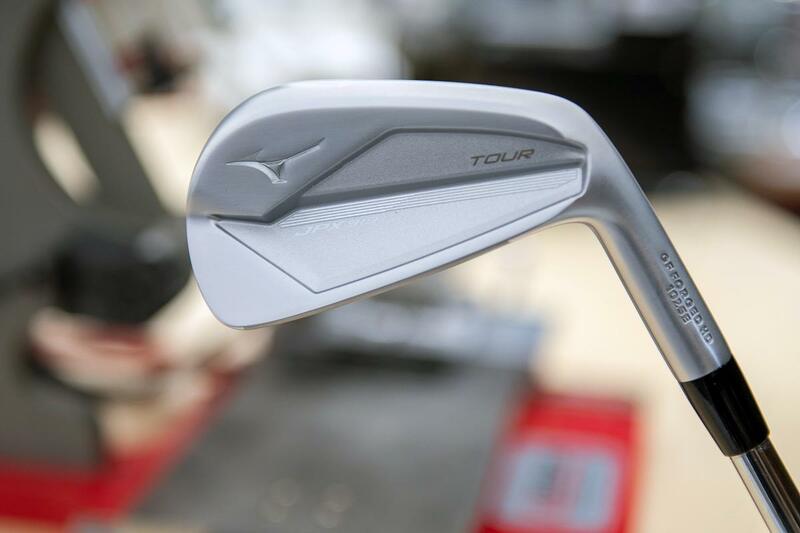 To what I suspect will be the delight of many, Mizuno actually rolled back the lofts on the JPX919 Forged. Let me say that again, instead of making its irons stronger, because of the ball speed gains, Mizuno was able to make the lofts 1° weaker (relative to JPX900 Forged), maintain, if not increase distance, and improve playability – specifically as it relates to the JPX919 Forged’s ability to hold greens. This, my friends, is a good thing. The stock shaft for the Mizuno JPX919 Forged is the TrueTemper Dynamic Gold 105. Again, it’s 100% the same as the aftermarket version. The stock grip is Golf Pride’s MCC +4 (Blue/Black), and again, there are no upcharges for any shaft or grip in the Mizuno catalog. Available for both right and left-handed golfers, retail price for the JPX919 Forged is $1300 per set or $162.50 per iron. As I hinted at the beginning of this story, the JPX900 Hot Metal is Mizuno’s best-selling iron in the game-improvement category ever. 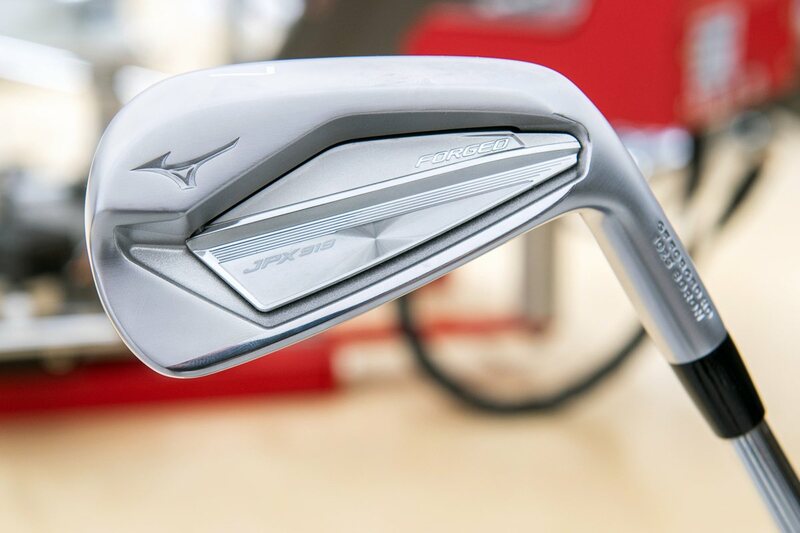 It’s not a category where Mizuno is traditionally strong, but Hot Metal was a breakthrough iron of sorts for the brand, and Mizuno is certainly hoping that the JPX919 Hot Metal can build on that momentum. Apart from it’s larger size, there are two major distinctions between the Hot Metal and the rest of the JPX919 family. The first is that it’s cast and not forged. That has to do with its footprint and its increased emphasis on speed. The second major difference is that instead of using 1025 steel as its core material, its constructed from Chromoly 4140M. Chromoly is stronger and more responsive than mild carbon (1025), it flows well in the casting processes, and because it’s softer than other traditional casting materials, it offers outstanding feel. Long story short, the materials and the construction used are designed to maximize ball speed. What differentiates the Hot Metal from some others in the category is that Mizuno isn’t being reckless in pursuing speed gains. The goal was to design a fast iron that maintains a controllable landing angle, something Mizuno believes is deeply missing in the category. Like the 919 Tour and 919 Forged, the 919 Hot Metal features Stability Frame construction. With Hot Metal, however, Mizuno has added 5 sound ribs to help dial-in sound frequencies to createa consistent feel throughout the set. 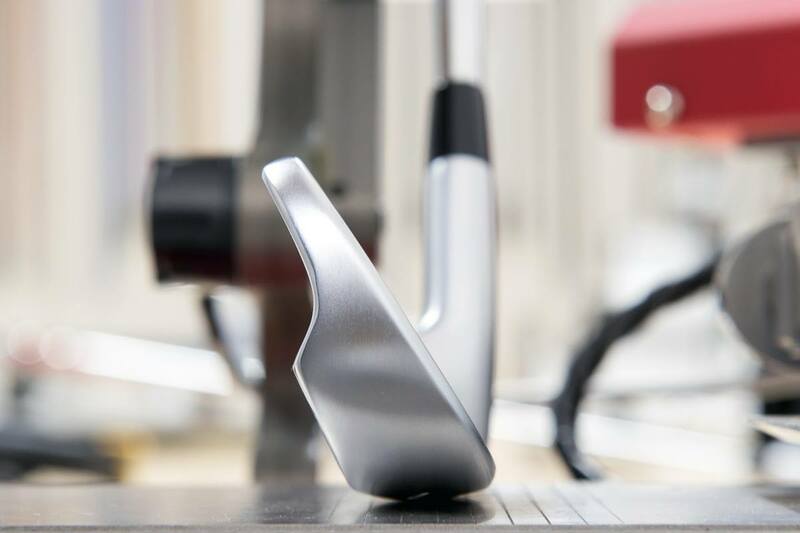 What we’re really talking about is a design feature that seeks to replicate the feel of a grain flow forged iron in a cast design – to whatever extent that’s possible. 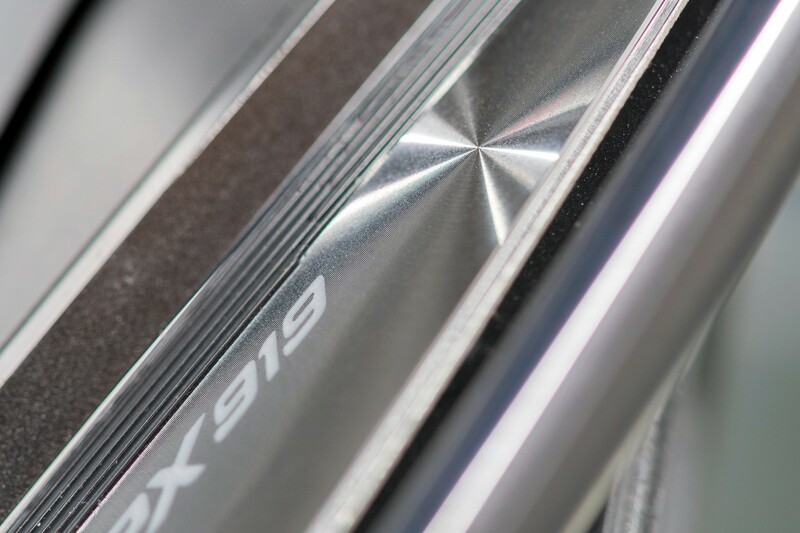 Big picture, the JPX919 Hot Metal is (as the name implies) a hot iron that still speaks to everything Mizuno is about. 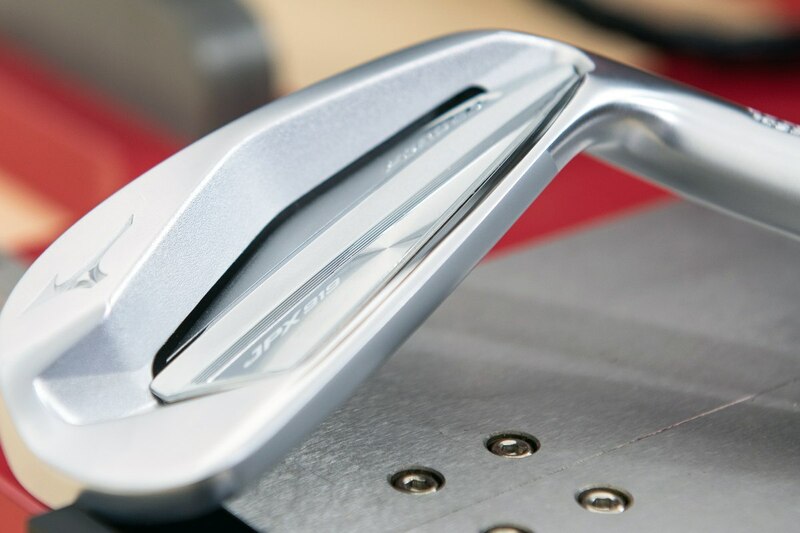 To that end, the Stability Frame design allowed Mizuno to leverage a larger multi-thickness face to increase the COR area (the area of the face that maintains a COR above .800) significantly compared to not only the 900 Hot Metal, but also competitors like M4, AP1, G400, and Rogue. 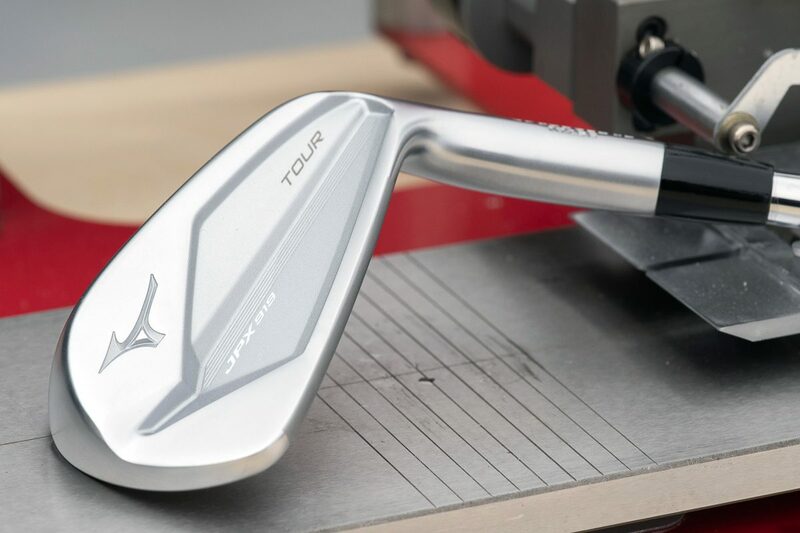 While Hot Metal isn’t the absolute most forgiving iron on the mainstream market, Mizuno is content with it being the most forgiving iron in its lineup. PING’s G400 and G700 best the new Hot Metal for total MOI, but the new Mizuno offering is appreciably more forgiving than Rogue, Rogue X, M2, M4, and to a lesser extent AP1. As has become our recurring theme, Mizuno is offering greater forgiveness in a more compact profile. Some will love that, but it’s also true that some will find that the smaller footprint doesn’t give them the same confidence they get from a larger iron design. When considering irons in this category the question you should be asking is whether your goal is to maximize distance or shoot lower scores. I’m not saying the two are mutually exclusive, but I don’t think you’d find much correlation either. The reality is that many of the options in the game-improvement and super game-improvement categories are designed to impress on the launch monitor and on the driving range, but not necessarily on your scorecard. The stock shafts for the JPX900 Hot Metal are the Nippon N.S. Pro Modus3 105 (steel) and Project X LZ (graphite). Stock grip is the Golf Pride MCC +4 (Gray Black). Available for both right and left-handed golfers, retail price is $1000 per set or $125 per iron. 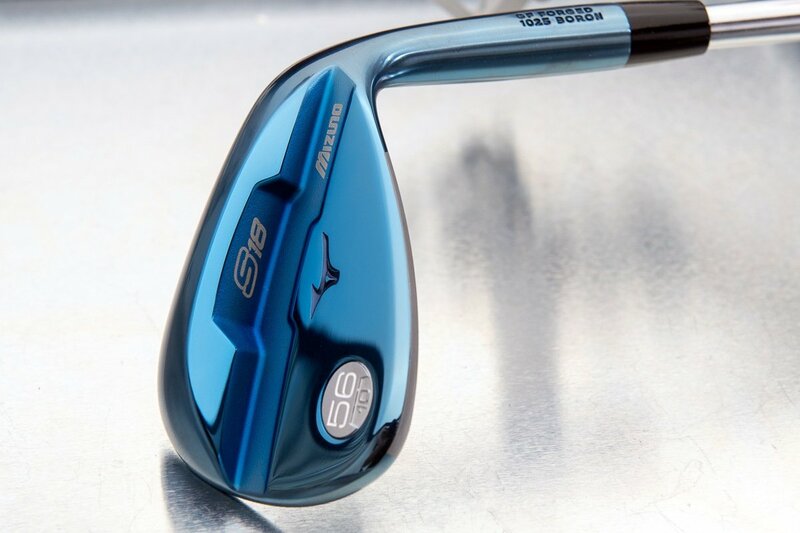 Also released as part of the 919 series is the JPX919 wedge. While the JPX919 Gap Wedge is the set wedge for the 919 Hot Metal, the new wedge isn’t designed exclusively to pair with the Hot Metal. It blends well with the JPX919 Forged, and can hold its own as a standalone offering. The key to that last bit is that the JPX919 wedge shares a good bit of its design with the S16. 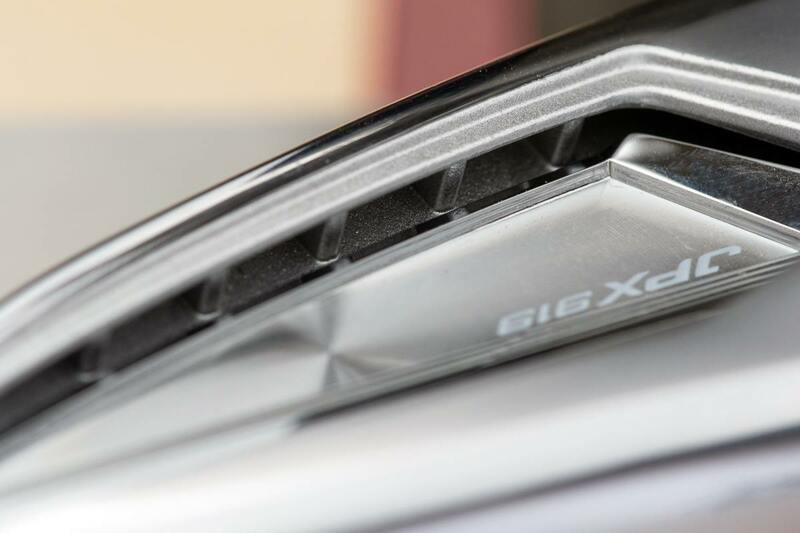 The shape of the gap wedge is actually a bit of a blend between the S18 and the JPX919 Pitching Wedge, while the Sand and Lob wedges were inspired by the S18. Like Mizuno T7 and S18 wedges, the JPX919 feature loft specific, milled grooves to help dial-in ideal launch and spin at each loft. Mizuno describes the JPX919 sole grind as moderate. It’s a good middle of the road offering with some versatility. Sole widths widen with loft to improve playability. The JPX919 wedge is cast from X30 soft steel. 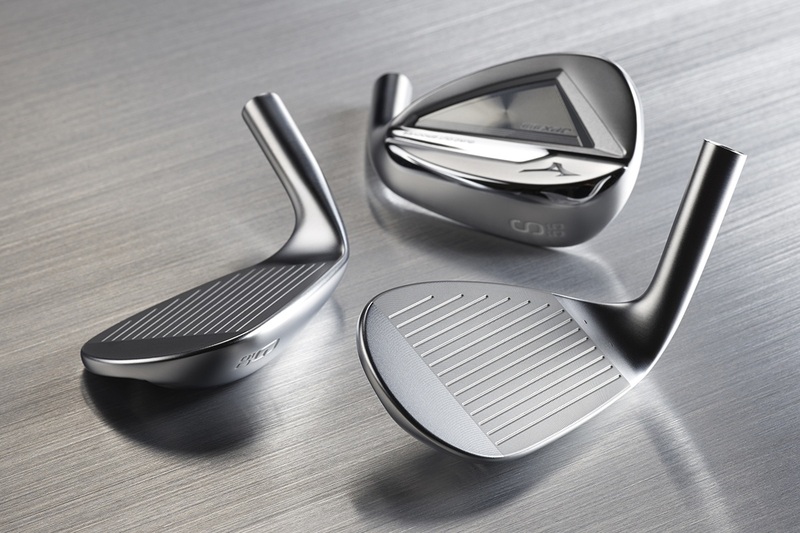 The material is similar to the 8620 steel used in competitor wedges, and while Mizuno purists may feel like they’re losing something in a cast wedge, I’d simply point out that the #1 wedge both on tour and at retail is cast, and nobody seems to be suffering for it. Retail Price for JPX919 wedges is $125 each. Stock shaft offerings are the same as the JPX Hot Metal; Nippon Modus 105 (steel), Project X LZ (graphite). Available for both right and left-handed golfers. Finally, we have a line extension to the Mizuno S18 family. We’re not going rehash the technical details here. If you missed our story on the S18, you can find it here. We’re talking about the same wedge, with a new finish option. The new Blue Ion finish is a bit glossier and a bit shinier than the Blue Ion used on the T7. It’s actually closer to what Mizuno used on the S5. Like Mizuno’s Black Ion (and unlike PVD) the blue finish is extremely durable and won’t rub or flake off after just a few rounds. The S18 Blue Ion Wedge will be available for right-handed golfers only in all current S18 bounce and grind configurations. Retail price is $149. Retail availability for the Mizuno JPX919 family begins September 10th, 2018. I just tried these at a golf expo and MY GOODNESS. They felt so clean. On center hits felt like the ball want even there, it just popped of the face. I loved them. How does the Mizuno tour & forges xompare to the Ping i210? By the specs, I’d say the i210 sits between the Tour and the 919 Forged. 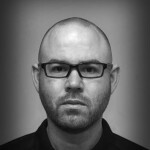 This is a great article and mygolfspy is something I trust. I do have a question on two things in this article. 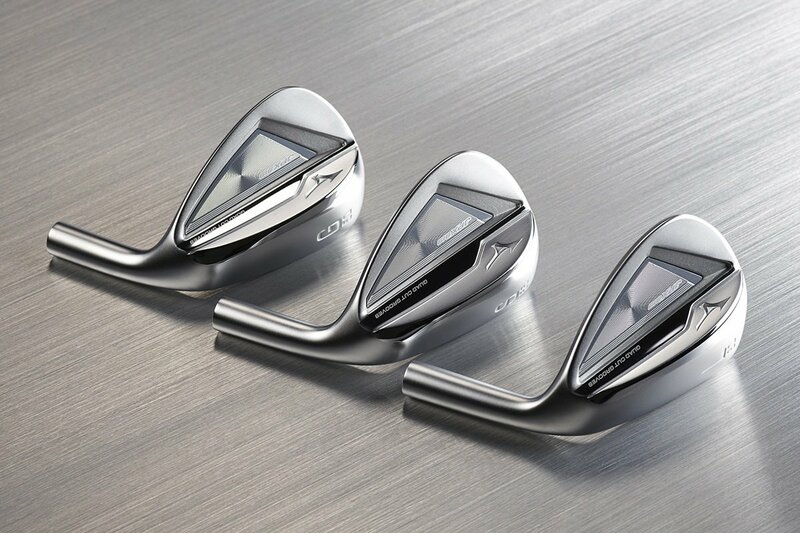 Just curious is mygolfspy claiming the forgiveness of these irons or is Mizuno? Is the article saying the 919 Tour are more forgiving than and are comparing them to Callaway APEX CF16, Titleist AP3, and TaylorMade’s MP4? Are we talking ApexPro Model and AP2 Model or the opens that were listed? Just trying to confirm. Is the article saying that the 919 Forged are more forgiving and are comparing them to the TM P790, Rogue Pro, AP1 and between Rogue and Rogue X? All the Rogue models is kind of confusing? Again trying to confirm? Thanks for the clarifications. Really enjoyed this article. Those cavity badges on the Forged are u-g-l-y. They look like they were stuck on with tape. Without doubt,I’ve not read a more technically thorough and interesting review/ report on golf equipment about the new Mizuno 919 irons. The reality is that this review could be the best possible promotion/ advertising for Mizuno! Mizuno doesn’t need to spend millions on sponsorship of golf pros as serious golfers around the world know that Mizuno produce, ”probably’ some of the best irons in the world. I am currently playing Srixon Z565’s , I think a close rival to Mizuno! Great article and pictures. Since you are comparing the three models it would be good to see several pictures with the club heads together so we get a better view of the differences in size and look. Definitely going to have to keep an eye on the prices of the 900 forged on eBay soon. The first set of irons I ever got that weren’t hand me downs were the old MX 17. Made me completely fall in love with the game. I’ve played irons from most of the OEM’s since, and although I really dig the Cobra’s in the bag now, a long overdue return to Mizuno is definitely in my future. I’ve just checked the price of the JPX919 HOT METAL here in the UK and it’s £840 compared to £549 for the JPX900 HOT METAL. Are they really 50% better as the price would suggest. Doubt it, but that won’t stop an awful lot of people buying them. I’ll have to wait for them to turn up on eBay also. I’m not a fan of the 5 degree spacing between irons in the Hot Metals. That’s why I sold my G’s… leaves too much of a distance gap between irons. I have played the JPX850 Forged w/Orochi shafts & the JPX900HM with the Project X, LZ shafts, a few times each on the course. Both of the shafts perform very well; every golfer who hits either, will have their own opinion. The age old question, is it the Indian or the Arrow? Can someone explain why bounce is higher on the Tour model than on the Forged? I would think better player/less steep (Tour) would need/want less bounce. Are the soles wider/different on Tour vs. Forged? Can someone strighten me out on this. I’m a 7 and interested in the “Forged’, but I like a little forgiveness (bounce/camber) from the sole. Are the Forged actually more expensive than the Tours? Weren’t the prices flipped for the 900 range? Very disappointed with Project X LZ graphite shafts again being used in the new Hotmetal Irons, the steel shaft is better though. Hope Mizuno is not so deaf to our requests for better graphite shafts similar to Pings Allta CB. Is it because Nippon shafts are good in steel but Nippon graphite shafts are poor? So we will prefer Orachi graphite shafts any day to Project X LZ graphite. I am guessing in Japan this graphite shaft won’t work so they must be giving some different graphite shaft. Hope MSG and Mr Tony Covey will be able to get the point across to Mizuno on the readers behalf. Will be great if someone can help with graphite shafts options similar to Alta CB. Only then will think of switching from Ping G400 graphite. Well, Mizuno is offering all the irons with any shaft without any upcharge. Wow, is the JPX 919 tour really more forgiving than the Titleist AP3 (not the AP2)? Anecdotally the AP3 is pretty darn forgiving (much more so than the AP2) so that would be quite a feat in a 1pc forged iron. The industry likes to use forgiveness as a catchall to be used as needed. I like Mizuno’s measurement because it takes MEASURED heel/toe and MEASURED top/bottom that it then converts into the area of an ellipse. As those measured MOI values increase, the area of that ellipse increases. Some will tell you MOI is not that important – and that usually comes from companies with relatively low MOI, or they’ll tell you that their face technology preserves ball speed in ways that aren’t reflected in an MOI measurement. There’s varying degrees of truth to these assertions, but the reality is that with any given category, nearly everyone has some sort of face technology to preserve ball speed. When you jump categories it’s more difficult to compare. For example, the sweet area of the JPX900 Tour is larger than that of the Callaway Apex 2, but I would expect more consistent speed from the Apex as a result of the face tech. Similarly, under the Sweet Area measurement, the AP3 is actually less forgiving than the AP2, but AP3 likely gets more help from face technology MOI is simply a baseline for discussion. What Mizuno does consistently better than anyone else in golf is make comparably more forgiving irons with more compact shapes. 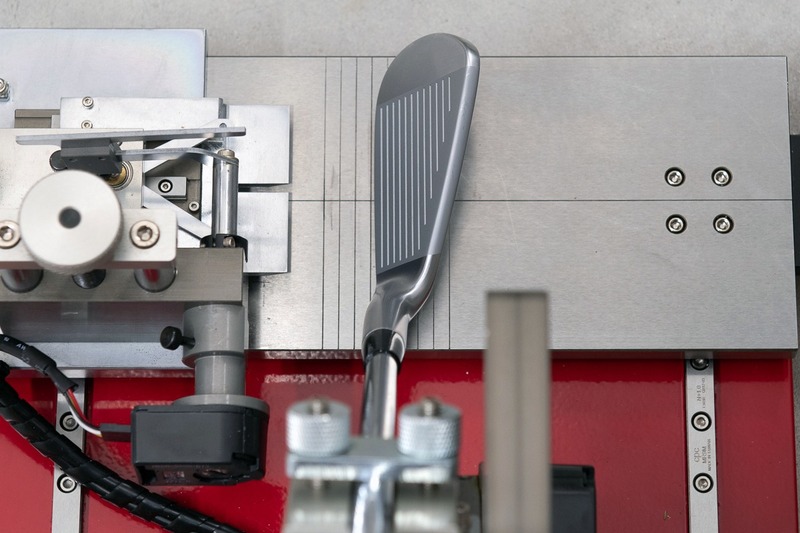 PING makes more forgiving irons, but (for better or worse) it does so with larger head shapes. With few exceptions, most of the rest of what’s out there has a longer blade length and is less forgiving. That’s not to say everything else is bad – MOI is only one part of the performance story, but it’s pretty remarkable to see how some other brands tout exceptional forgiveness considering how many hot face designs suffer from hot spots. Tony, how does the JPX forged compare too the Ping i200? Would you say that the JPX would be a more forgiving as a club? Would the head size be smaller or larger than the i200. Pretty remarkable that the 919 Tour is almost as forgiving as the MP18 MMC! And great insight into the comparisons of forgiveness to other OEMs. Appreciate the in-depth reply about the MOI. Interesting about the AP3 and AP2. What would you say technically encompasses forgiveness? Just MOI? Or would you say both? It sounds like MOI is the most important and largest factor, with face technology helping a little bit. Is that right? Love Mizuno irons, great coverage Tony, thanks! Tony thanks for the detailed reply. Very interesting and great detail. By far the best piece around the internet on this release. It does a great job explaining the story, the design, potential benefits and overall is far removed from the press release/OEM site info that many tend to use and provides that in depth writing that draws the attention of the reader. As for the irons this is the first JPX release that has my attention and ponder mode. Mizuno nailed the looks for sure and in the forged head being able to use less loft to achieve more ball speed and better flight is awesome. Also love that Mizuno is using the aftermarket shafts and being the first to use the mcc +4 grips. Love what Mizuno is doing. Tony, I posted this in the forum but wanted to post here as well in case you read it. A big round of applause for the pictures posted in this article. I don’t know if sometimes MGS is only provided with pictures and can’t take their own, but the angles shown in this article were perfect. A look at address, of the face, from behind, down the toe. Not all of these angles are often shown in a product announcement or first look, but I am hoping they become standard for MGS. I have a much better idea of how the product will look in hand. Please continue the great work. Very nice coverage of the new line up. Thanks, Tony! Hey! I’m still playing these (the original 2013 version (yes, with the gun metal finish and the orange badges). They work well for me. I can understand the feeling about them, though. Still, I’m sure Mizuno engineers learned something positive from them (and not just what *not* to do!). Beautifully written article (as always). Need to re read later with glass of my favorite. What I took away so far, Mizuno is just tremendous with their product offerings. There’s really something for everyone and you simply can’t go wrong with any of their products. I’m playing combo MP18 SC/MMC now and am too in love to change. I would try the new JPX line u questionably. Wouldn’t make a change from my MP’s now. If anything, hold out for MP 19’s. Well done here though. I currently play the 850 forged and really enjoy the performance I can get out of them. I was contemplating the 900’s but decided to wait. Know that the 919 is on its way I may have to take these out for a spin. I love the sleek look, only hope they feel as well as they look. These are some great looking irons! I would love to try out the tour and forged models. They both look great! As noted, when comparing the length specs to JPX 900 Hot Metal, the 919s do run a quarter inch longer until you hit PW and GW. Those two wedges are listed at the same length as previous model. So as I was recently fitted for the old model at 1/2 inch short, it would seem that with the new irons I would go 3/4 inch short, except for the two wedges which would stay at 1/2 short. Kinda unusual, yes? Nice looking irons but they’re still jacking up the lofts compared to my MPs, less on the tour version but still 1*, 3* on the forged and a full 5* on the Hotmetal so the 7i is actually a 6(which should be 31* for the MP)+1*. Not to mention making them all longer shafts, for more distance? hmm. Making a +4 the stock grip on a game improvement iron is not the smartest idea imo… Obviously the no upcharge on other grips is nice, but the “I want it and I want it now” 20 handicapper fighting a slice will struggle with these… All three models look really good and the hot metal pro coming out later is going to be interesting too. I’m not sure why you believe that. Once upon a time, the thinking was that if a grip was too small it would lead to hooks, while I too large grip would create a slice, but like many of golf’s old myths, this one has been largely debunked. 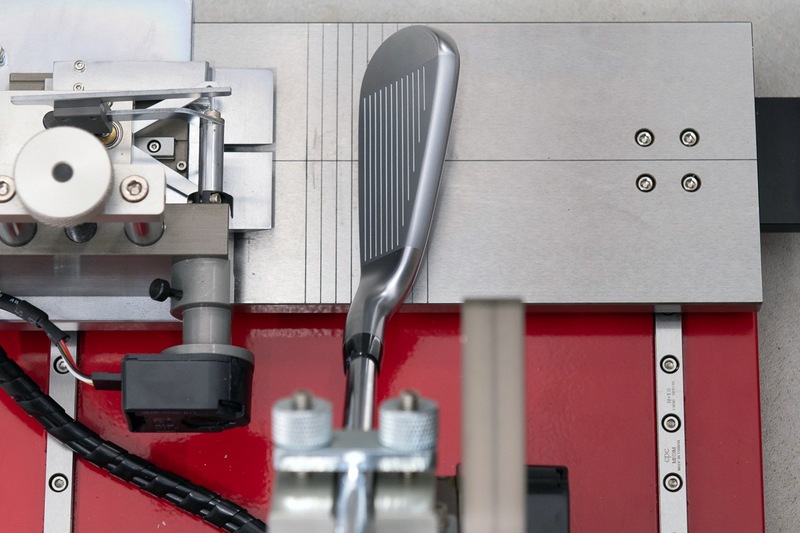 Multiple OEMs have done testing on the subject, and have found that there’s absolutely nothing that shows a correlation between grips size and ball flight. As a result, you’re seeing midsize become standard on many senior offerings as older golfers (many with arthritis) find they’re more comfortable. The data suggests that the grip that feels most comfortable is probably the one you should play. Has your lab ever compared the plus grip with the traditional shaped MCC? I’d be interested to know if there are any differences that are obvious in terms of performance. I agree 100%. I have degenerative Arthritis and would not be able to control a club nearly as well without my Winn Dri-Tec wrap oversize grips. I wear a size 20 ring and no glove companies make a glove that fits my hands. When ever anyone tries hitting one of my clubs the first thing they comment on are how great the grips feel. The grip just needs to give a secure and comfortable platform to control the club. I can get just as much control from the groves in my wraps as someone could with a full cord grip. I can shape the ball anyway I want. A smaller grip just makes my hands uncomfortable. The first thing my clubfitter did after talking about my game was measure my hands and help get me on the right grips. Mizuno just keeps hitting home runs. It amazes me how often companies screw up a good product, especially golf companies. Glad to see for the most part mizuno kept a good thing going. Disappointed about the longer shaft, especially because if I remember right mizuno measures shafts before the grip unlike most other iron companies. Also thought the stock grip was an interesting choice. Can’t wait to test out these irons! I love my MP18-SC irons. More than likely will not get another set for a while… but my heart sank when I saw how gorgeous these irons turned out. Mizuno is such a force to be reckoned with. I’m looking forward to seeing them used on the tour more. Same with me! I got MP-18 blades and SC combo. These to me are much better looking than the 900 tours and forged because of the finish and not having the blue 900. Can’t determine between the MP-18 and 919 lines because ones classic and the other has a touch of modern with more tech. Wish money wasn’t an issue. I’d get both! Exactly the same for me. The MP18SC are the best irons I’ve ever have. But those Tour look very good. The Higher launch and less spin in the 919 Tours than the 900’s isn’t something I need, but will obviously help a lot of golfers who want to game them. What I think is the best news is the more durable finish. I will be posting some pics in the 900 Tour review thread to update the wear of my 900 Tours to show how, while the bag chatter is acceptable, the finish itself wears awkwardly – specifically near the power frame cavity area. I personally like the look of the 919 tour and forged more than the 900. The finish with these are cassier, more sophisticated-looking to me. They did a nice job of bringing classic and modern together this time I think. Beautiful looking. I didn’t like the new design at first glance but it’s growing on me. Very impressive to roll back lofts in this day and age. This is a very interesting statement in this excellent article. Can you expand upon this? I agree with this if a player has a good, overall swing. Game improvement irons help with distance, but they can be inconsistent with which distances they go, yardage gaps between clubs can be inconsistent, and GI irons have less spin because of the design and typically have stronger lofts so stopping power on the greens can be less effective and not hold the greens as much. GI irons can be a good option if a player has too much spin with their irons, getting a better decent angle to hold greens more. The big kickers for me is workability and feel. Yes you can work GI irons to an extent but it takes more effort and you lack the feel. The feel provides feedback that can teach you to be a better ball striker and learn quicker. I’ve had a good stroke and could always get down the course but my distance gaps with each club and between clubs we’re too large, not allowing me to score. Wasn’t holding greens and distance would be sometimes 20-25 yard differences with the same club. I got fitted and blended blades and a little bit more forgiving forged players iron and have seen my scores drop because I’m hitting much more GIR. In addition to my previous comment: if the player doesn’t have much speed GI would be the route to go. If the player has good speed, bad swing/bad ball striker, go GI. If you are making an effort to to getting better, practicing swing mechanics, are getting better with the GI’s, have good speed, better ball striking, and learning to shape shots, players irons will help lower your score with consistency, feel, and shot shaping to place you closer to the hole. These look great! Definitely on my try list. 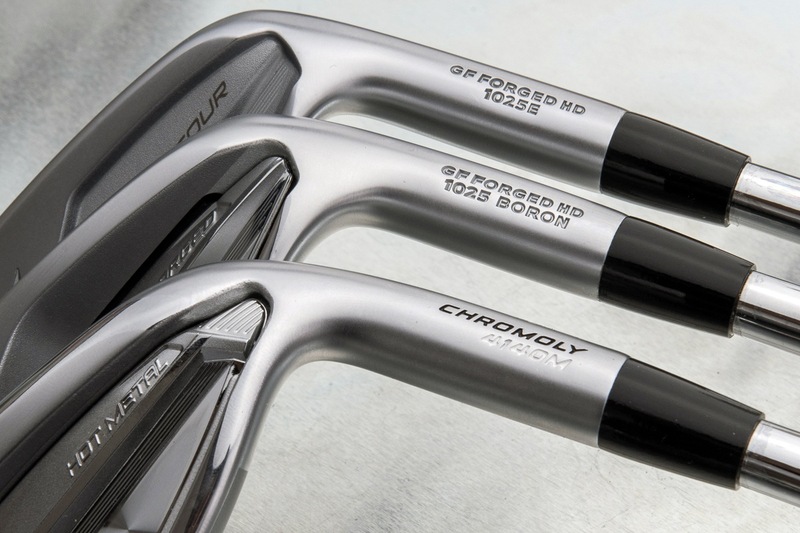 Surprised to see the Tour model cheaper than the forged..I think this is pretty unusual..PrettyIrons! !